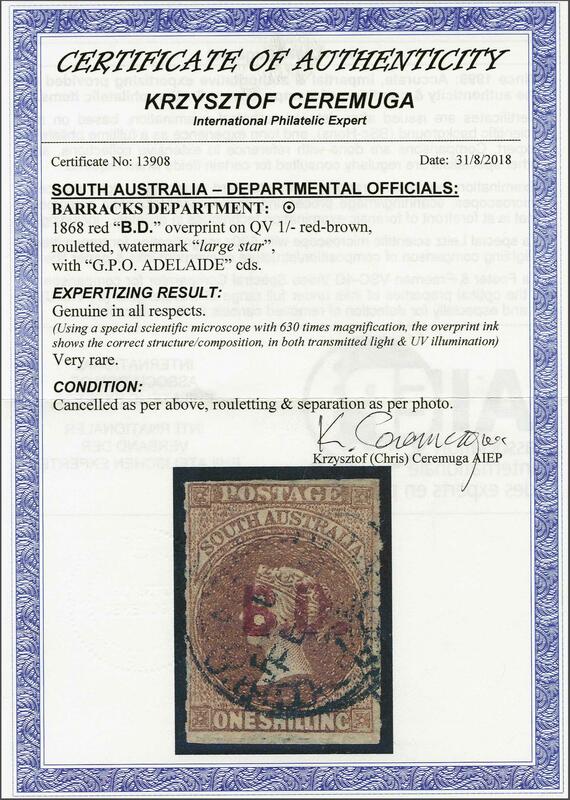 Barracks Department 1868: Overprinted "B.D." in red, on 1 s. red-brown, wmk. 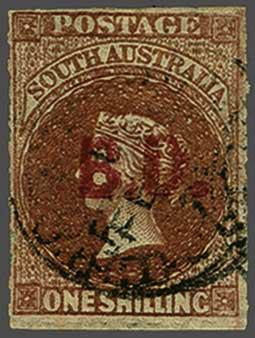 Large Star, rouletted, a fine used example of good colour, cancelled by 'G.P.O. / Adelaide' cds in black (Feb). Butler 2R. Cert. Ceremuga (2018).